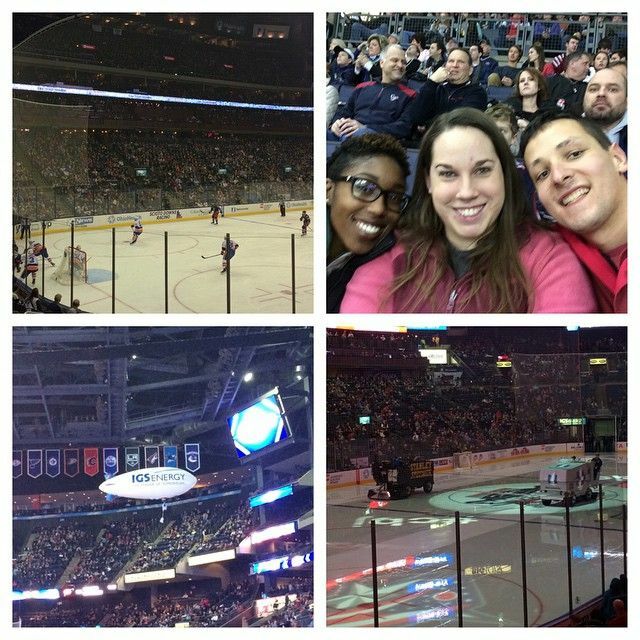 On Saturday, Dan and I were getting ready to head to the gym when one of his friends texted asking if we wanted to go with her to Columbus (about an hour away) to go to a hockey game that was offering FREE tickets for military service-members and their families. Of course we jumped on that idea! We had no other plans for the evening and had a low-key Friday night, so we wanted to get out - even if it was freezing cold. We hadn't been to a hockey game in years. I think we went to one Air Force game while he was at the Academy, and really, that was just to see each other since he couldn't leave base sometimes. We had the best time with Ayana, though! So much fun! We saw a LOT of pushing, shoving, elbowing, and even a couple good fights! And so many men slamming into the glass. It was awesome. 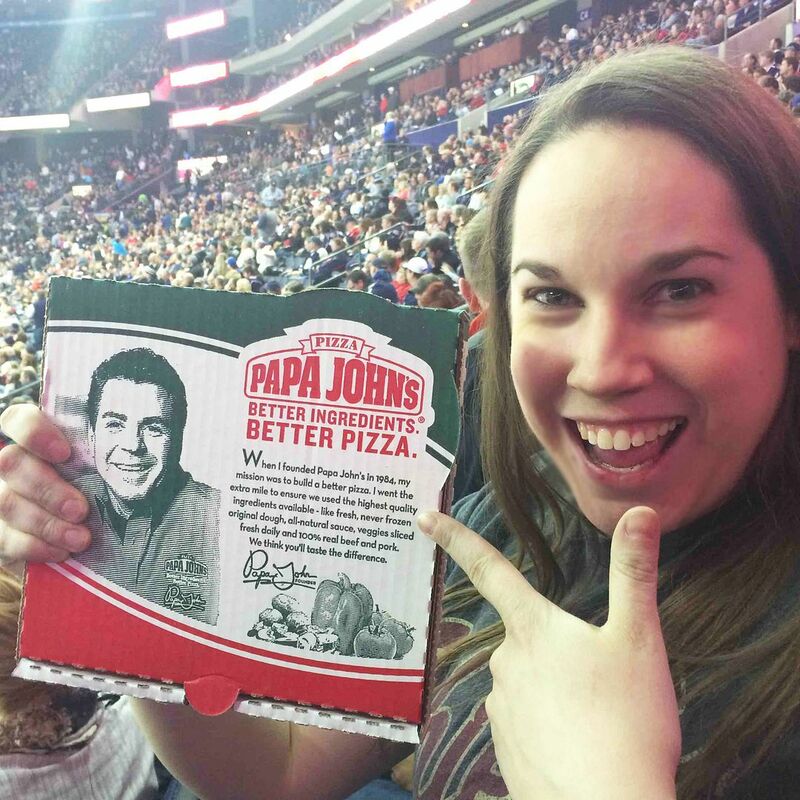 AND I was lucky enough to catch a free pizza from Papa Johns - woot woot! 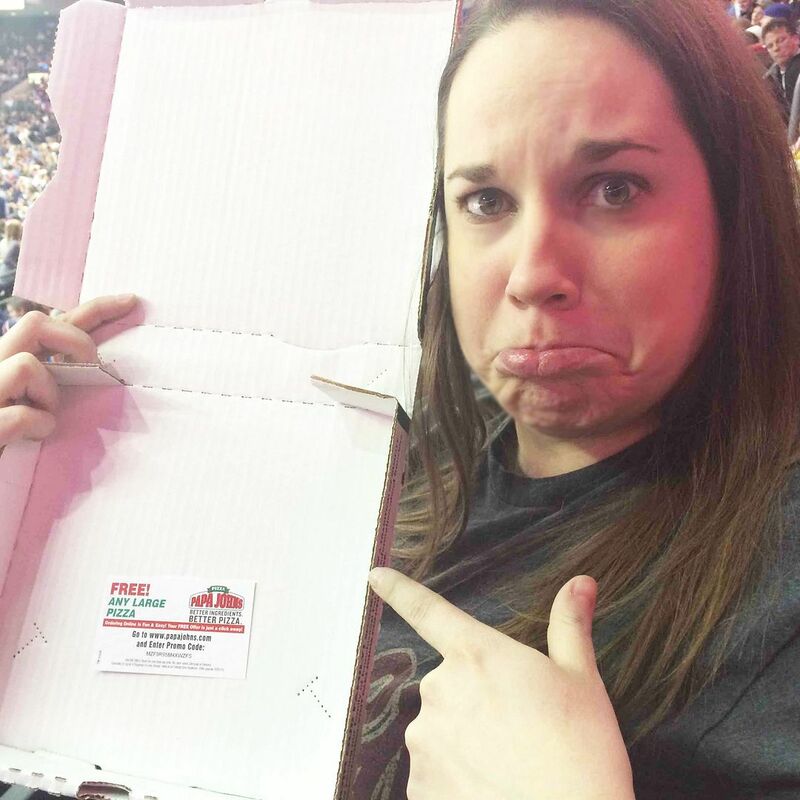 I'm not even a huge pizza fan, but it's always fun winning something. Afterward, we went to Jeni's for ice cream... because really, a trip to Columbus isn't complete without their wonderful ice cream... even if we were already freezing cold. It's THAT good. 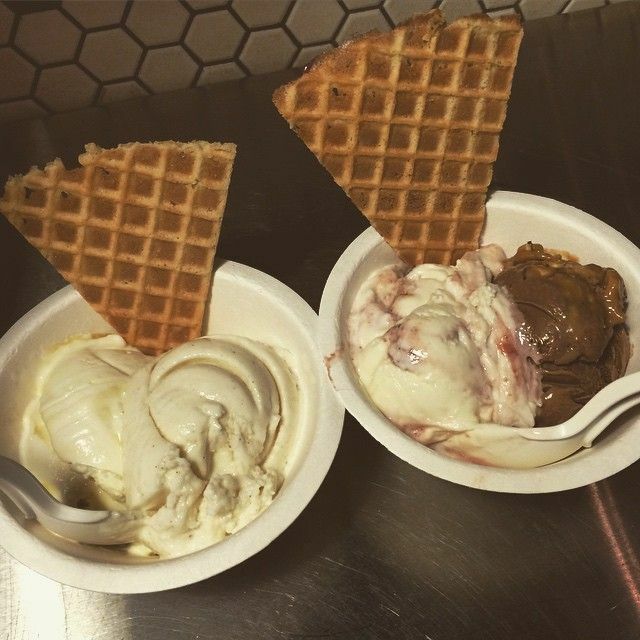 Jeni's is seriously the best. I had lemon buttermilk and lime cardamom flavors - mine's on the left! YUM! Do you enjoy hockey games? Have you ever been to Piada or Jeni's? That sounds like an awesome Friday night! I wish we had Piada and Jeni's. They both look and sound so good! What an awesome Friday night! :) Piada's sounds really good! You're not a big pizza fan?! WHAT?! What a fun Friday date night!!!! HA! I was wondering how the heck you caught a pizza?! LOL Sounds like a blast! I go to hockey games mainly for the fights!